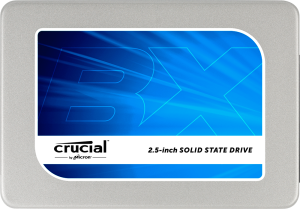 CDRLabs kicks off the week with a review of Crucial's new BX200 solid state drive. Aimed at the budget-conscious consumer looking to upgrade to an SSD, the BX200 offers substantial yet affordable performance gains compared to a standard hard drive. Powered by Silicon Motion's SM2256 controller and available with up to 960GB of Micron's 16nm TLC NAND, the drive delivers true 540 MB/s sequential reads on both compressible and incompressible data for faster boot up speeds and shorter application load times. The BX200 is also 40 times more energy efficient than a typical hard drive, allowing users to run their systems longer, using less power.